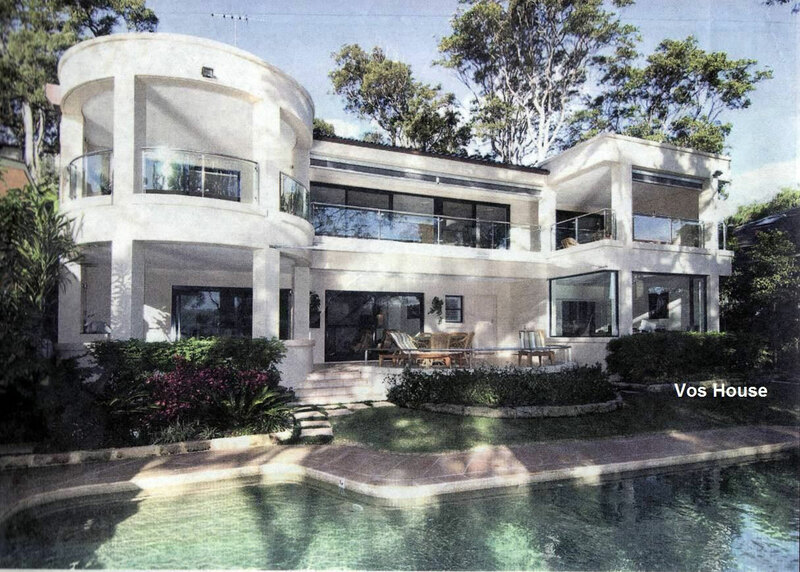 The Vos house is located on the eastern shores of Pittwater overlooking the water to Scotland Island. It is a fresh transformation of a 1970’s Spanish “Modern” with two storey arches to the rear blocking the water view and with no design merit. 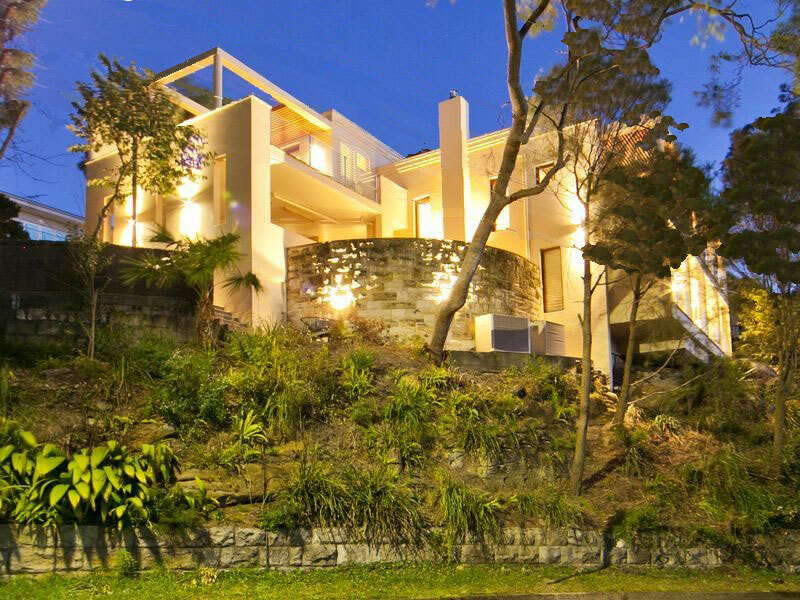 The clients brief: to create a “Hollywood Mansion”. 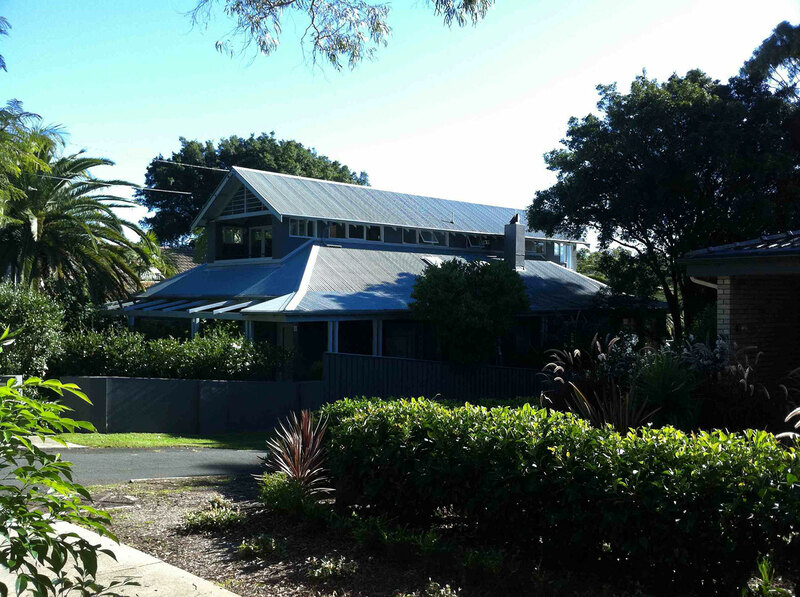 This term suggested the Art Deco forms of the 1930’s with curved plan forms and simple white stucco walls. The brief called for large undercover outdoor terraces at both levels leading to the pool and down sandstone steps to the jetty. 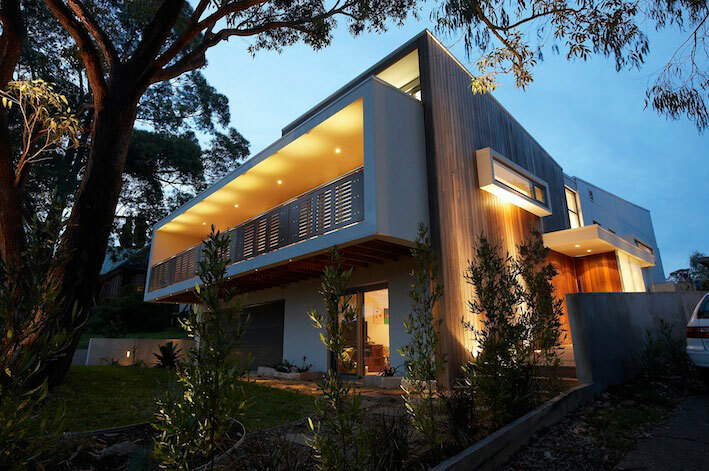 These terraces were given two contrasting forms to create visual interest. 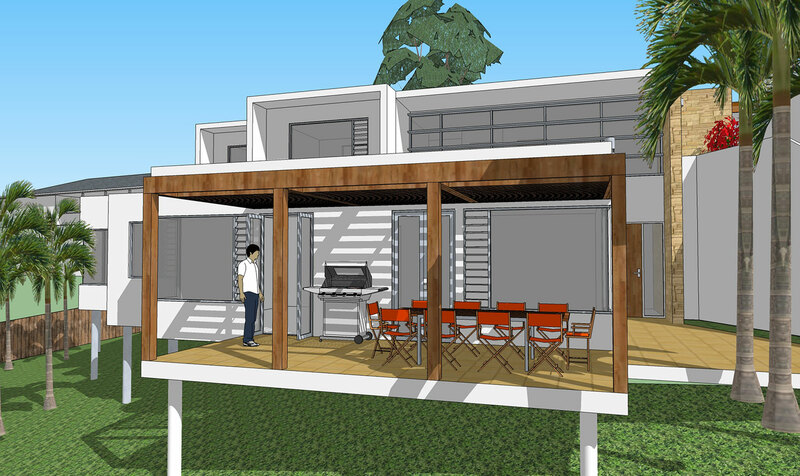 The internal layout of the house was completely reorganized with open living areas and bedroom oriented to the water. 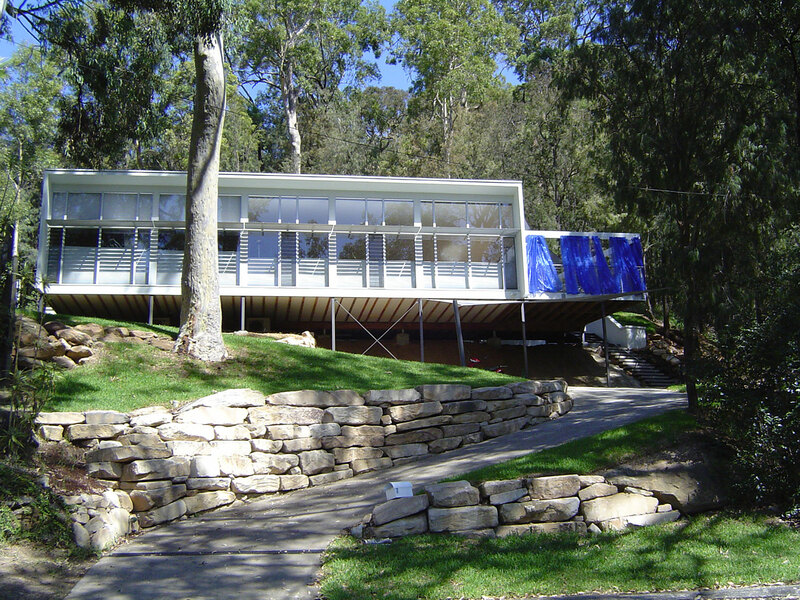 The front entry was redesigned with a see-through tropical fish aquarium forming the end wall of the entry, through which Pittwater could be seen. An oval shaped skylight naturally lights the entry. The ceiling of the lower terrace to the rumpus room has fibre optic lighting representing the stars of the southern sky. The driveway is extremely steep with a 90-degree turn into the garage, which previously meant that reversing was the only way out. Instead, the garage was raised 1.2m, leveling the bottom section and a car turntable was installed. Vehicle access is now easily achieved in both directions. Trisha created a palette of finishes and colour schemes informed by the clients interest in tropical fish for different areas of the house right down to choice of linen and suggested artwork palette to compliment the design. Published on August 7, 2013 12:50 pm. Published on August 7, 2013 2:18 pm. Published on August 7, 2013 2:11 pm. Published on August 7, 2013 2:07 pm. Published on August 7, 2013 11:57 am. Published on August 7, 2013 11:55 am.